Joe Gransden, shown here at Cafe 290, hosts a jazz jam every Tuesday at Venkman’s. 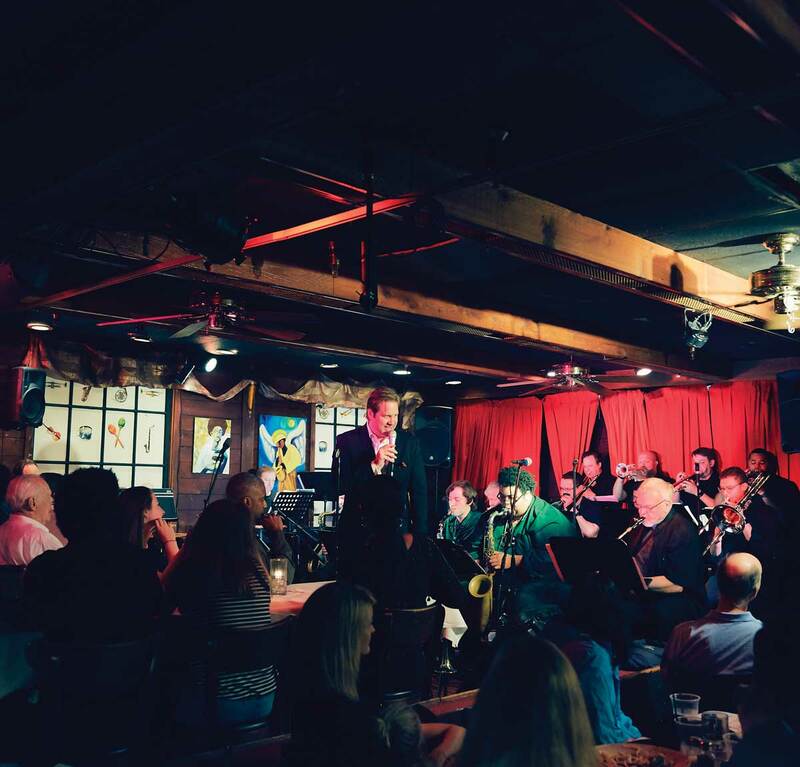 For nearly two decades, the Atlanta jazz scene revolved around Churchill Grounds, a jazz bar nestled next to the Fox Theatre that presented music five nights a week. The late-night hangout occasionally drew musicians like trumpeter Wynton Marsalis and Lady Gaga, who dropped by after concerts in the city. After the club’s spacious Whisper Room shuttered in 2014 due to a rent increase, musicians went back to performing near the door of the narrow, deep bar room, in front of a picture window, attracting glances from Midtown passersby. Two years later, the club closed after its lease expired, and the space became a VIP room for Fox Theatre patrons. Instead of mourning the demise of the city’s jazz center, many of the musicians who sharpened their skills at Churchill began playing music throughout Atlanta. There are now 10 weekly jam sessions at venues inside the perimeter, placing Atlanta on comparable footing with more jazz-forward cities like Seattle. Jam sessions typically begin with a short set by the house group. To perform with the band, guests pick out a piece of familiar jazz repertoire and ask the host for a shot onstage. While many performers are either session regulars or university jazz students, events also attract novices. Guitarist Jacob Deaton, who helms a session at Chairs in East Point, eases newbies into the experience by steering them away from complex songs and providing encouraging accompaniment on more straightforward 12-bar blues charts. On a Sunday in September, the jazz crowd trickled into Chairs half an hour after Deaton’s quartet began playing standards like “On Green Dolphin Street” in an alcove adjacent to the bar. Patrons soon filled the once-deserted row of tables by the bar, chatting and drinking as they listened. A few musicians, instrument cases in tow, approached Deaton during a break. He said many of these East Point residents show up every week for a chance to hear live music. Trumpeter Gordon Vernick, Georgia State University’s coordinator of jazz studies, sends his students out to these clubs to gain experience. And he invites many of his pupils to perform while hosting a Wednesday gathering at the Red Light Cafe, which usually attracts around 50 to 60 musicians and listeners. This article appears in our December 2018 issue.